The motor industry has called for Government help after new car registrations fell for the seventh consecutive month in October. Data from the Society of Motor Manufacturers and Traders (SMMT) show a double digit decline for the UK car market in October, with heavy losses fuelled by a near collapse in the demand for diesel, with sales dropping by almost a third compared to the same month in 2016. 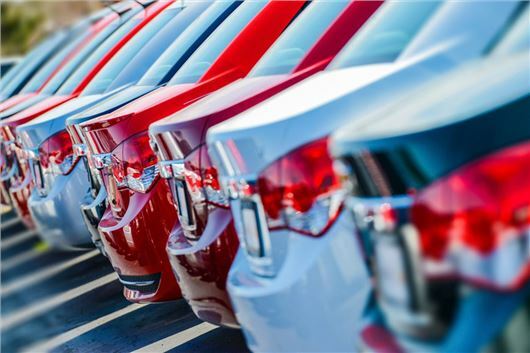 Despite a flurry of scrappage schemes, new car registrations have continued to falter, with falling businesses and consumer confidence being blamed for the drop in demand. Mike Hawes, chief executive of the SMMT, is calling on the Government to provide support for the automotive industry, which supports 170,000 jobs in the UK. “We urge the Government to use the forthcoming Autumn Budget to restore stability to the market, encouraging the purchase of the latest low emission vehicles,” said Hawes. Dealers reported 10 per cent fewer private buyers taking delivery of new cars in October, while demand for business and fleet vehicles were down by a respective 27 and 13 per cent. The results represent the seventh consecutive month of decline for new car registrations and the SMMT predicts that the market will end the year on 2.5 million units – a five per cent fall on 2016. There is no "confusion" on Government Policy on diesel. The Industry shot itself in the foot "hiding" the truth about Nox pollution. And no, I am not going to help them by buying a new car! Sell car. Give 5 year minimum 100,000 mile warranty, especially on Multitronic/DSG type boxes with annual inclusive oil changes and 5 years fixed servicing costs. Tell the truth and don't use the Punter as your quality control. And another thing; if France and Germany decide to give us a kicking over Brexit, then my current 4 year old A8 will be the last vehicle/consumer good that I buy from Europe. Their choice. Perhaps if they had not ramped up the prices so much over the last few years, they might find it easier to sell new cars. A Ford Focus or equivalent, stating at £19,500 before discount is a big jump from a few years ago. The public are also wise to the ripoff charges ie. for any other colour than an entry level dark blue etc. The same car can be found abroad with no additional cost for a range of colour options. Sales may have dropped when compared to 2016, because 2016 was one of the highest years for vehicle registrations. So after a couple of years of fairly good sales, guess what, the sales figures have gone down, no doubt due to increases in list prices and changes in VED. We are hardly back to 2008 levels, where, taking October as an example month, there looks to have been c.125,000 cars registered, compared to Oct 2017's 158,192 cars. Using those figures, I'd say that Oct 2017 wasn't a bad year for new car registrations. Don't forget the rip off Interest rates charged by certain manufacturers for new cars and double the rate for their "Approved" used cars. Extreme car price inflation hidden behind PCP finance deals showing monthly costs rather than a bottom line list price doesn't fool everybody. Or new model launches meaning the price suddenly jumps by a few grand on that particular car. And buying a diesel with a DPF that will cost a fortune in repairs just as the measly 3 year warranty expires? Manufacturers have their greedy, uncaring selves to blame regardless of the behaviour of incompetent / corrupt politicians. How come VW can offer there USA punters 5 year warranty, why discriminate ? USA consumers drive big V8s , cheaply , yet London etc are scared crazy about climate changes, surly the yanks live on the same planet , dont they ? San fairy Anne to the car trade & greedy manufactures ! 'But the extraction of nickel – predominately mined in Australia, Canada, Indonesia, Russia and the Philippines – comes at an environmental and health cost. Environmentalist's can't have it both ways, everything comes at a cost, maybe not on our doorstep, but on somebodies.